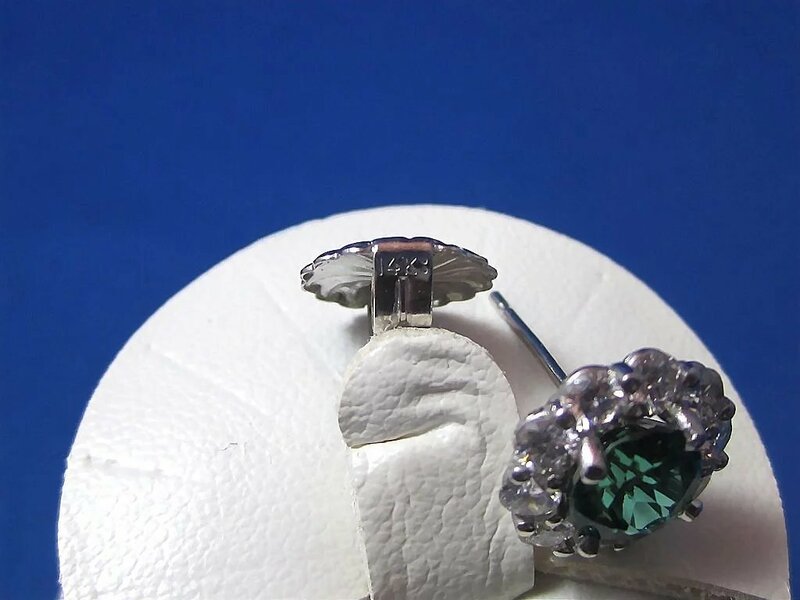 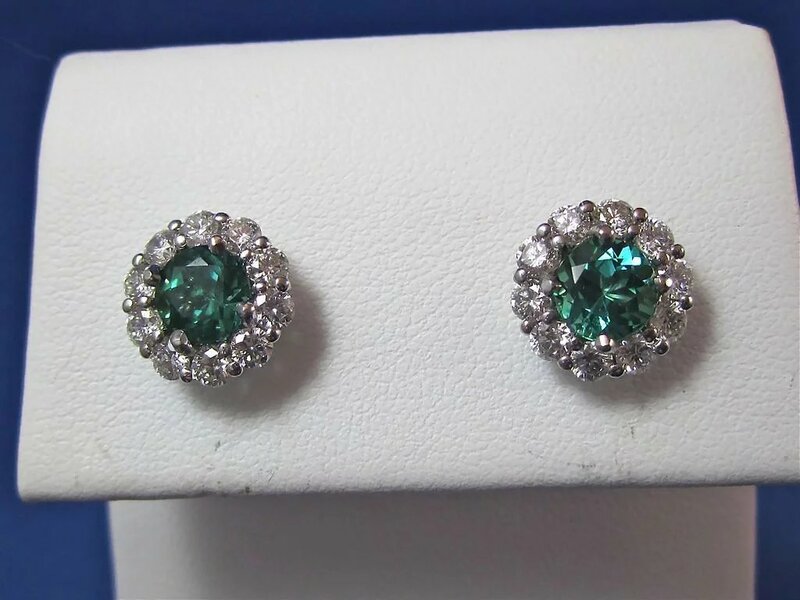 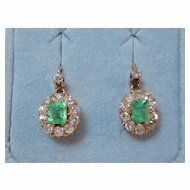 These gorgeous 1.87 carat green tourmaline & 1.40 carat diamond halo style earrings are fabulous! 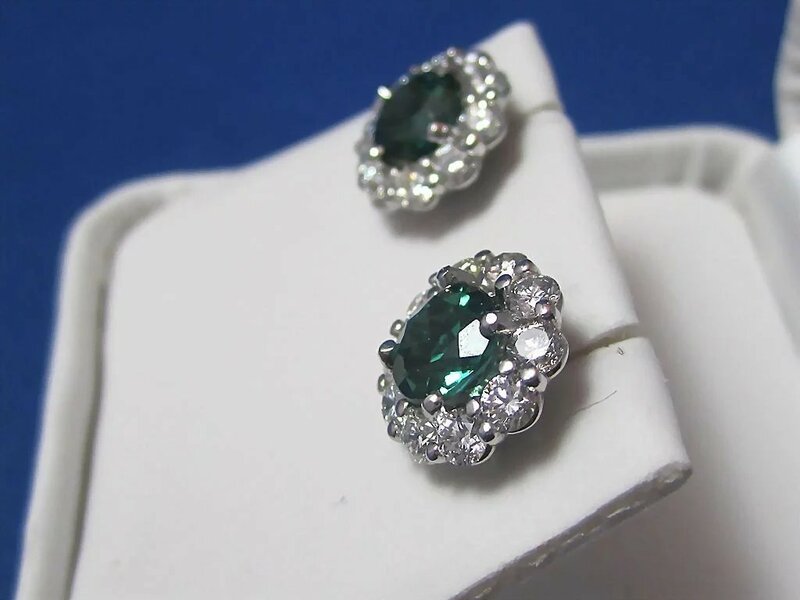 There's something about tourmalines that wins my heart every time, and these are no exception. 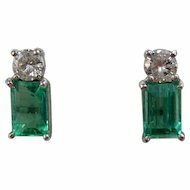 I love the deep rich green color of the tourmalines, the bright brilliant cut diamonds, the classic setting. 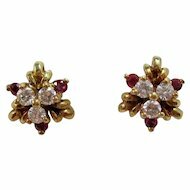 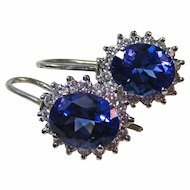 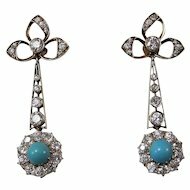 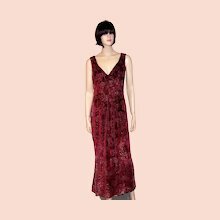 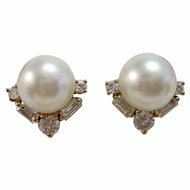 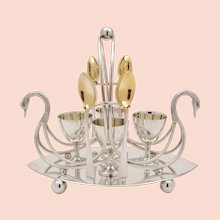 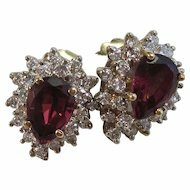 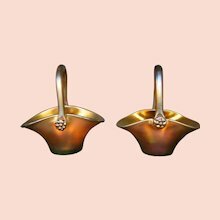 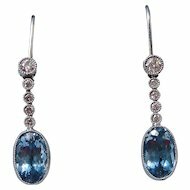 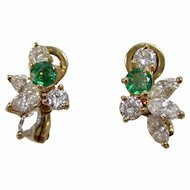 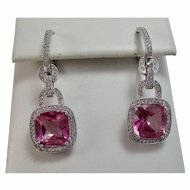 You can wear these lovely earrings from morning to work, to your dressy dinners and evening events. 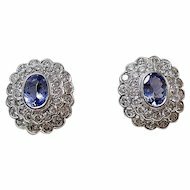 You will never tire of these perfectly gorgeous earrings! 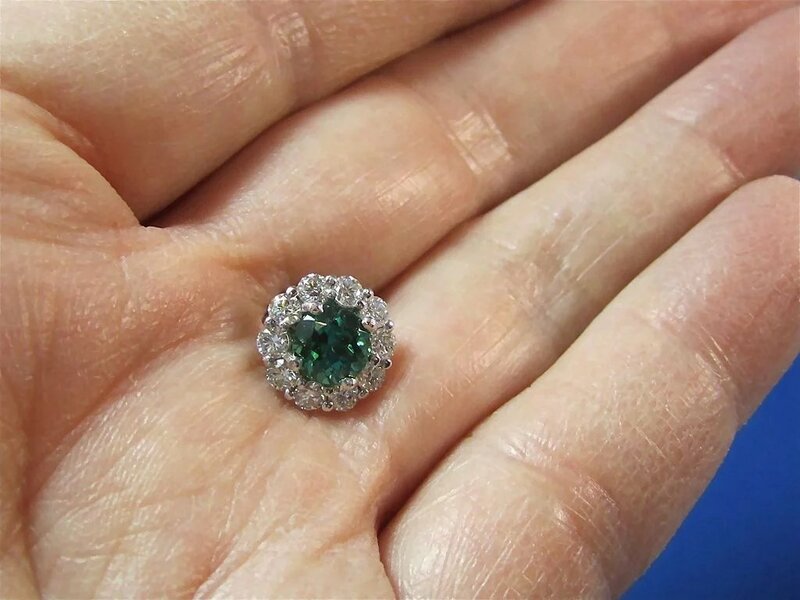 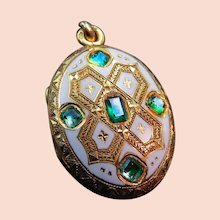 There are 2 prong set round modified brilliant cut natural green tourmalines, weighing approximately 1.87 carats, type I, medium moderately strong, very strongly bluish green color, eye clean with a very good cut. 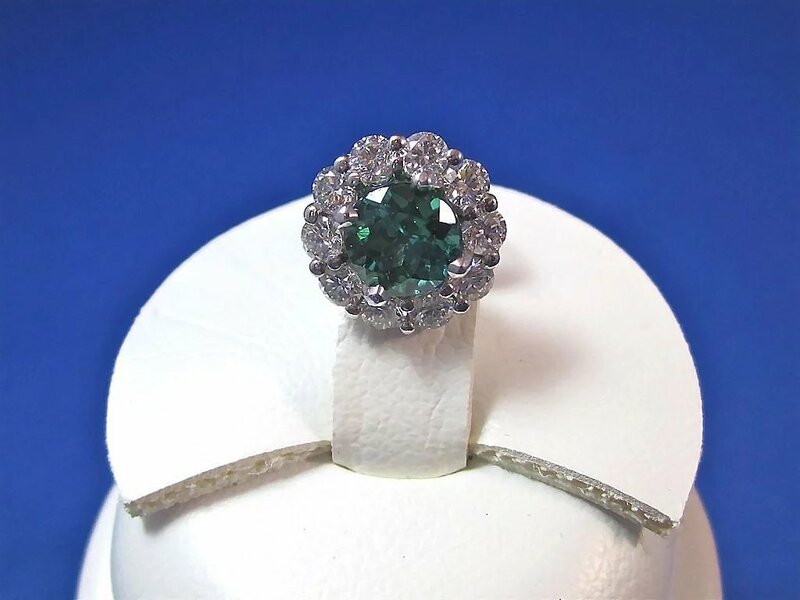 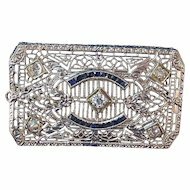 Surrounding the tourmalines are twenty prong set round brilliant cut diamonds, weighing approximately 1.40 carats, H/I in color, VS2-SI1 in clarity, with a very good cut. 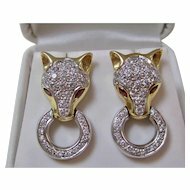 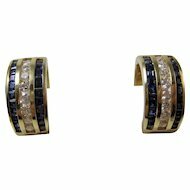 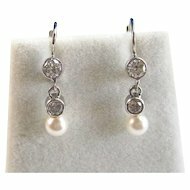 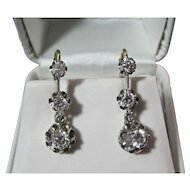 The earrings are set in a 14K white gold setting with friction posts and backs, meaning they have 58.3% fineness of pure gold. 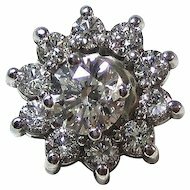 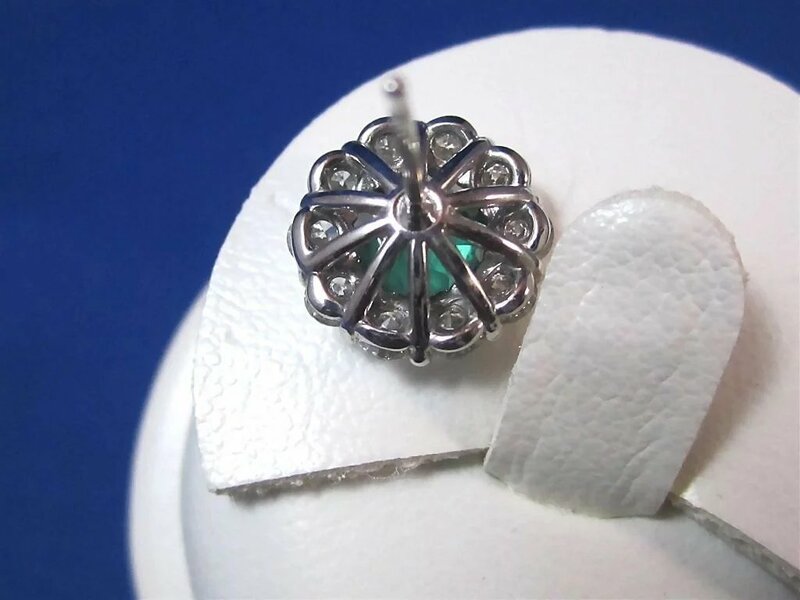 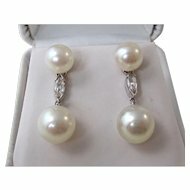 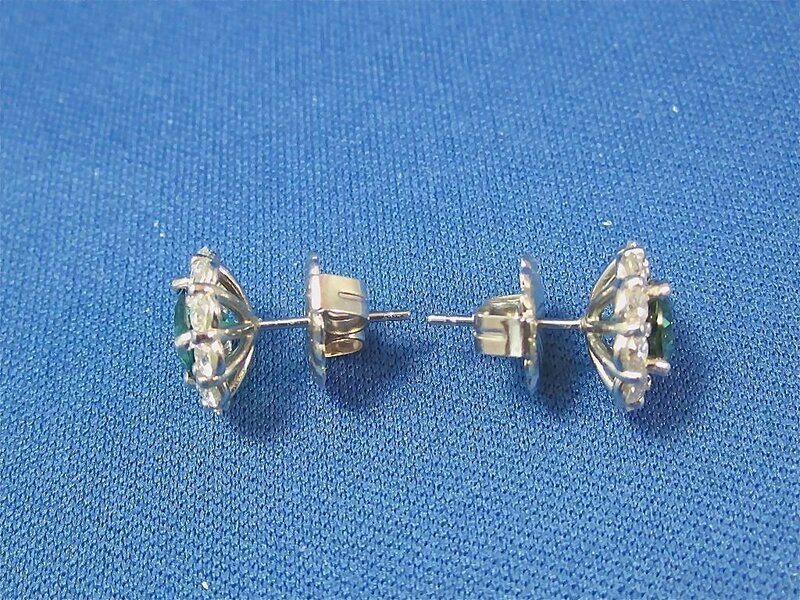 The earrings measure 7/16ths of an inch in diameter and sit up 3/16ths of an inch.The total piece weighs 3.60 grams.